Two studies recently published in the journal BMJ have linked low birth weight, an unhealthy lifestyle and sugary drink consumption with a higher risk of developing type 2 diabetes. 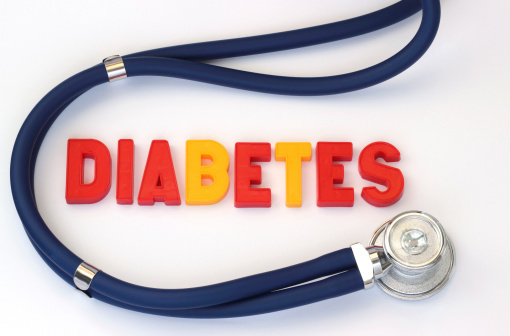 In the first study, researchers at the School of Clinical Medicine at the University of Cambridge conducted a systematic review and meta-analysis of 17 observational studies that involved 38,253 cases of type 2 diabetes. Each participant consumed sugary drinks, fruit juice, and artificially sweetened drinks. Results indicated that a higher consumption of sugary drinks—which was considered one 250-milliliter serving per day—was linked with an 18% higher risk of developing type 2 diabetes (before adjusting for obesity) and a 13% increased risk (after adjusting for obesity). The team used this research to estimate the risk of type 2 diabetes attributed to sugar-sweetened drinks for people in the U.K. and U.S. between 2010 and 2020. They came to the conclusion that regular consumption of sugary beverages might account for approximately two million new cases of type 2 diabetes in the U.S. between 2010 and 2020. The second study, led by Yanping Li from the Harvard School of Public Health in Boston, investigated whether birth weight and adult lifestyle could affect the risk of developing type 2 diabetes. The team assessed data from three ongoing trials that involved 149,794 healthy men and women. The participants were followed up with and analyzed for 20 to 30 years; during this time, researchers discovered 11,709 new cases of type 2 diabetes. The team concluded that, independently of each other, low birth weight and unhealthy adult lifestyles were associated with a greater risk of type 2 diabetes—but approximately 18% of type 2 diabetes cases resulted when both factors were combined. Researchers note that these cases would not have occurred if just one of the factors (i.e. low birth weight or unhealthy adult lifestyle) existed. The team suggests that most cases of type 2 diabetes could be prevented if people adopted a healthier lifestyle. Approximately 29 million people in the U.S. are living with diabetes; type 2 diabetes accounts for nearly 95% of all cases. Imamura, F., et al., “Consumption of sugar sweetened beverages, artificially sweetened beverages, and fruit juice and incidence of type 2 diabetes: systematic review, meta-analysis, and estimation of population attributable fraction,” BMJ 2015; 351, h3576. Whiteman, H., “Sugary drink consumption, birth weight and adult lifestyle linked to type 2 diabetes risk,” Medical News Today web site, July 22, 2015; http://www.medicalnewstoday.com/articles/297057.php.